At Frankfurt’s Light + Building, Azure chats with the founder of Chicago design studio Minimal, about his latest fixture, Sisifo, for Artemide. The biennial trade show kicked off on April 15 in Frankfurt with hundreds of exhibitors debuting stunning decorative fixtures. Innovations from Ingo Maurer, Flos, Selux and more caught our attention on day one. Last month, the AZ AWARDS jury weighed in. Now it’s your turn! Until Friday, May 4, vote for your favourite AZ AWARDS finalists in the People’s Choice Awards. 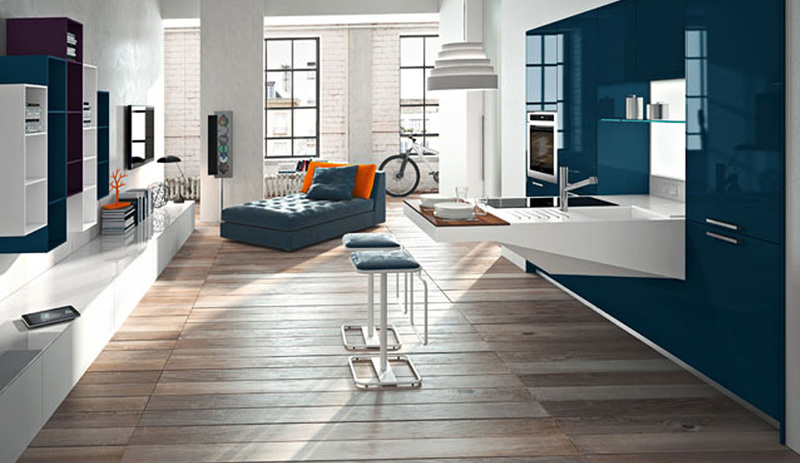 Eurocucina, the world’s biggest kitchen and appliance biennial and a major part of Milan design week, serves as centre stage for the launch of spectacular systems by the likes of Snaidero, Scavolini and Arclinea. Here are five new lines to check out at the fair and off-site. Announcing the 60 designers and architects who have been chosen as finalists of Azure’s second annual AZ Awards.